Geneva/New York/Jackson Hole, 20 November, 2018 – Global marine species have never come under the international spotlight as a group. This will change in 2019. The Secretariat of the Convention on International Trade in Endangered Species of Wild Fauna and Flora (CITES), the United Nations Development Programme (UNDP), and Jackson Hole WILD announced today that they will team up again to organize an international film showcase, this time focused on marine species. Winning films will raise global awareness of the importance of life below water to our everyday lives, explore the critical challenges facing the marine ecosystems that comprise two-thirds of our planet and highlight inspiring solutions in meeting them. The Living Oceans Film Showcase will be one of the global events that will anchor next year’s UN World Wildlife Day (3 March) celebrated around the theme Life Below Water: For People and Planet. Winners will be announced at UN Headquarters in New York at a high-level event on Friday, March 1 to observe the Day. Covering two-thirds of the planet and making up more than 99% of earth’s livable habitat, our oceans remain the least understood ecosystems on Earth. In fact, we know more about the moon than we do about the deep sea. Nonetheless, life on our planet began in the ocean and we rely on a healthy ocean for our very survival. Life below water has sustained human civilization and development for millennia, from providing food and nourishment, material for handicraft and construction to the very air we breathe. CITES, the world’s wildlife trade regulator, protects marine species listed on its Appendices from over-exploitation by ensuring that international trade in these species is sustainable, legal and traceable. “CITES has a long history of regulating international trade in many marine species to help ensure their survival in the wild, including since 2013 several commercially harvested sharks and rays, such as hammerhead, porbeagle and oceanic whitetip sharks, and the devil and manta rays. For marine species, this places CITES at the interface between sustainable use and international trade, focusing on species that have declined to a level that requires sound trade and management measures to maintain or rebuilt stocks,” stated David Morgan, Officer-in-Charge of CITES. Yet, the capacity of life below water to provide these services is severely impacted, as our planet’s oceans and the species that live within it are under assault from an onslaught of threats, including climate change, marine pollution and trash, habitat destruction, and unsustainable fishing practices. The CITES Secretariat is designated by the United Nations General Assembly as the global facilitator for the celebration of the World Wildlife Day each year in collaboration with organizations in the United Nations system. UNDP is co-organizing this year’s set of World Wildlife Day events and activities together with UN Environment, Jackson Hole WILD, Wildlife Conservation Society, and other organizational partners. The call for entry will close on January 1, 2019 and finalists will be announced February 1, 2019. Winners will be presented at a high-level event to coincide with the global celebration of UN World Wildlife Day at UN Headquarters in New York on 1 March 2019. Winning and finalist films will be subsequently showcased extensively throughout the world. Ocean Heroes: Awarded to the film that most effectively celebrates noteworthy work of individuals or groups committed to protection, raising awareness or understanding, and sustainable use of marine species or ecosystems. People and Oceans: Awarded to the film that best communicates humanity’s social, cultural, economic and/or environmental interdependence with marine species and ecosystems including sustainable commercial use. Ocean Issues and Solutions: Awarded to the film that most effectively explores current challenges and communicates solutions to the environmental, social-economic and sustainability issues facing marine species and ecosystems. Marine Life: Awarded to the film that most effectively showcases the rich diversity and complex behavior of one or more marine species. Ocean Short: Awarded to the best marine species or ecosystem film less than 15 minutes in length. 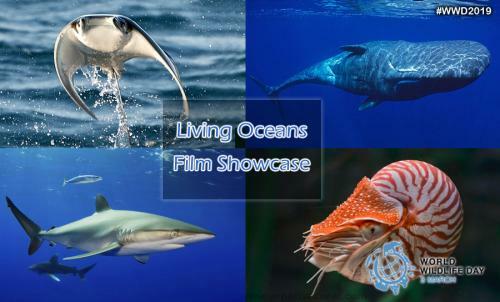 Ocean Micro Movie: Awarded to the best marine species or ecosystem film less than 5 minutes in length. Programmes created after January 1, 2012 are eligible for consideration. There is no entry fee for submission. Entries must have been completed after January 1, 2012 but need not have been broadcast/exhibited prior to submission. Entries for competition are invited from media producers from around the world. Media submitted may be of any length, may originate in any digital media format and be fictional or non-fictional. Programs must have mixed (mono/stereo) audio track on both channels, must be an English version (dubbed or subtitled), and programs with visible time-code will not be accepted. Submissions in all official UN languages (Arabic, Chinese, English, French, Russian, and Spanish) are welcomed. Programmes in a language other than English must be subtitled in English for the Living Ocean Showcase presentation. Eligible entries are required to complete submission form via www.JHFestival.org. Entries will be uploaded to a private and secure Vimeo channel for judging. Jackson Hole WILD’s programs promote public awareness and stewardship of wildlife and wildlife habitat through the innovative use of media. Since 1991, its annual conferences draw together international leaders in science, conservation, broadcasting and media. In 2019, committed marine science and conservation advocates join global media leaders and innovators for the Jackson Hole Wildlife Film Festival & Conservation Summit (21-27 September), to share resources and strategies, address critical challenges and brainstorm innovative approaches for collaboration. Jackson Hole WILD celebrates the world’s finest nature programming and explore innovative ways to integrate media centrally into the battle against global wildlife crime. On 20 December 2013, the 68th session of the United Nations General Assembly proclaimed 3 March as World Wildlife Day to celebrate and raise awareness of the world’s wild fauna and flora. The date is the day of the signature of the Convention on International Trade in Endangered Species of Wild Fauna and Flora (CITES) in 1973. 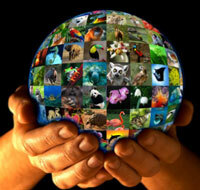 World Wildlife Day has quickly become the most prominent global annual event dedicated to wildlife. It is an opportunity to celebrate the many beautiful and varied forms of wild fauna and flora and to raise awareness of the various challenges faced by these species. The day also reminds us of the urgent need to step up the fight against wildlife crime, which has wide-ranging economic, environmental and social impacts. The theme for the 2019 World Wildlife Day is: Life Below: For People and Planet.